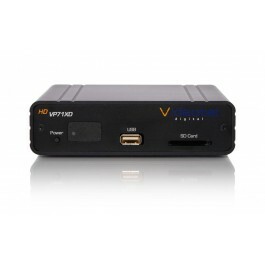 The VP71XD is a sleek and compact commercial-grade media player meant for looping or playing video or photo content from a USB thumb drive or SD card. 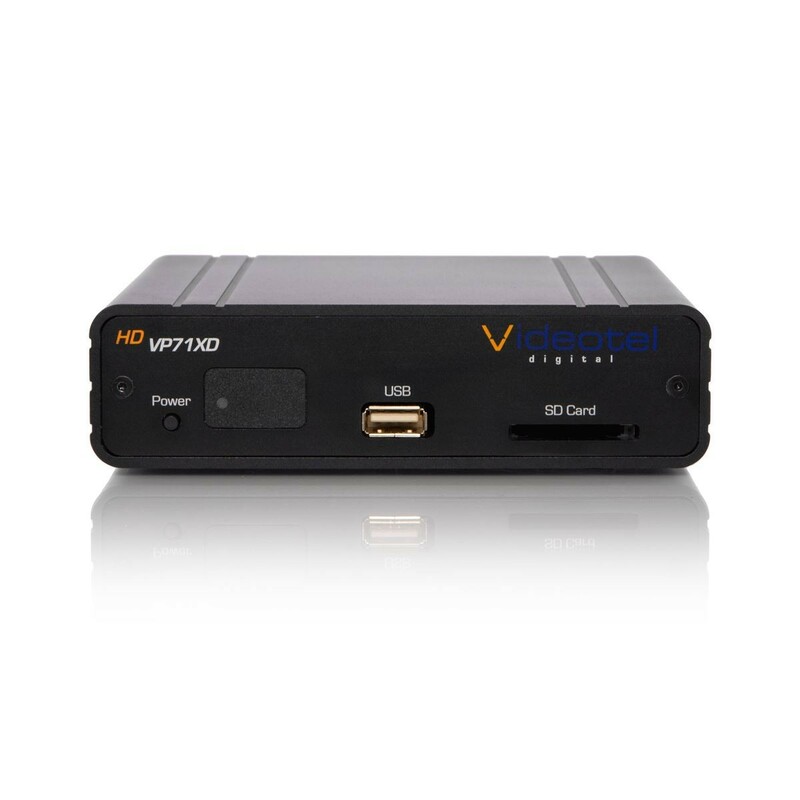 The VP71XD is a commercial-grade media player meant for looping or playing video or photo content from a USB thumb drive or SD card. This compact media player is a great alternative to using a laptop as an input source for a sleek, streamlined setup. The VP71XD will automatically power on, auto play and auto repeat and seamlessly loop content 24/7 without having to use a remote to re-loop the content. The VP71XD is built within a rugged full metal enclosure. In the event of a power loss, the VP71XD will automatically power on and begin to play content from the USB/SD without manual interaction. It also features a built in scheduler that allows you to display various content at different times of the day.